Centering on the theme of 'progressiveness', this powerful volume offers important new perspectives on the history, theory and practice of international law. 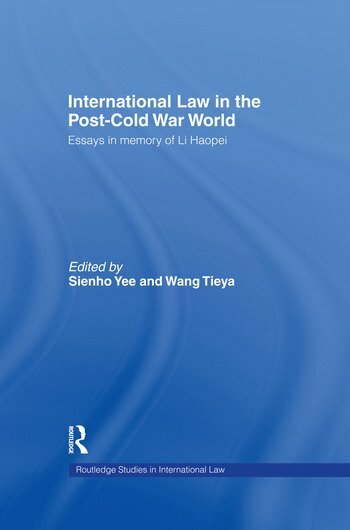 Covering topics of great contemporary relevance such as the use of force, human rights and sovereignty, this book is of essential interest to lawyers, historians and political scientists. Sienho Yee is currently a DPhil candidate at Oxford University. He has formerly been a judicial law clerk to Judges Li (ICTY) and Cowen (US, Third Circuit), tutor in PIL at Oxford colleges, visiting assistant Professor at Northwestern University, and counsel at the IMF. He is the author of various articles on PIL and constitutional law in Columbia LR, EJIL, ICLQ, German YIL, Max Planck YUNL.